Thank you for Community Support of Breast Cancer Action Ottawa’s Gala 2018 – CharityWishList.ca – Easily connect to charities near you. Donate used items. 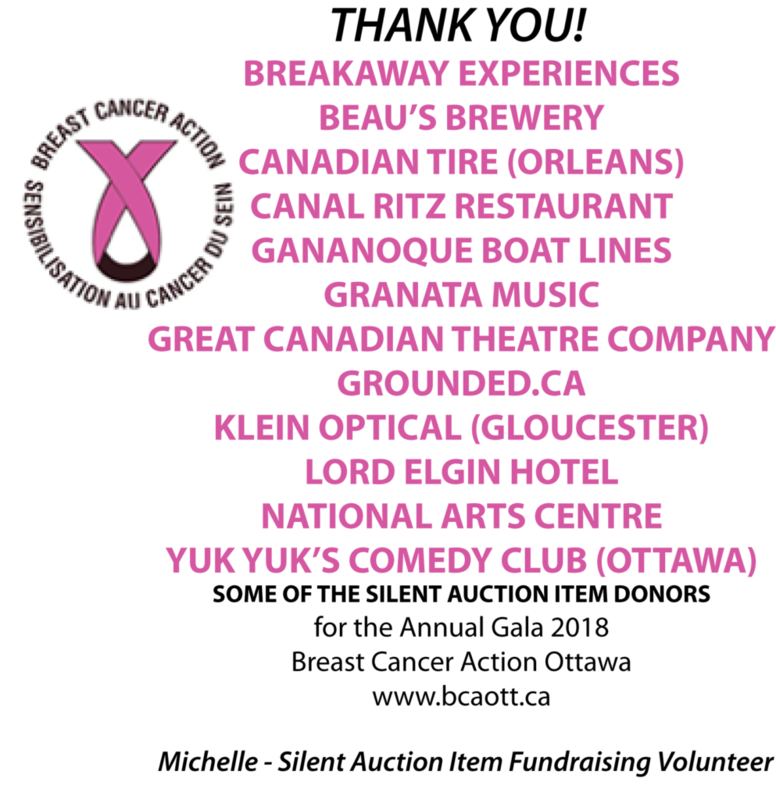 I want to personally say THANK YOU to the companies that provided silent auction items when I asked, supporting Breast Cancer Action Ottawa’s Annual Gala 2018. The list below are the ones that I approached and that donated auction items. (President will send official thank you to all the auction donors.) Note: My sole role was as a Silent Auction Item Fundraising Volunteer. Thank you for your community support! Community Support, Ottawa, Thank You. Bookmark.